Giving someone a calling card in this digital world does not help you connect with other professionals or business, your social profile does. Most people will google you before they decide to do business with you or your company. Having a good reputation and presence on social media can substantially improve your ability to expand your business network. Building and maintaining your social presence might seem as a elaborate and tedious task. One that might take up a lot of your time and energy, but it doesn’t need to be so. Using the three easy steps provided in this article you will be able to form your digital calling card in a much more faster and efficient way. People usually think the more the merrier, so they start at the very beginning with all the available options from websites and Facebook profiles to Twitter and LinkedIn accounts. For managing all of these at the same time you would need a whole team of assistants. So the best way is to start small and then build up in time. The next logical question is how to choose the right ones. Easy, do a little research and find out what social channels are being used by the key influencers in your business industry. This will make it much easier for you to connect with them and at the same time put your name out there. According to a recent guide, there is a simple formula that you can follow when connecting with people: Contact + Curiosity = Opportunity. So the relevant people from your niche will in time takes notice and contact you, thus creating new and vital business opportunities. No want will be interest in what you have to say if your ideas or numbers are outdated. So before you post or share anything on social media be sure it is fresh and relevant for the people who are following you on that particular social media channel. Providing wrong or irrelevant data can lead to the loss of popularity and reputation in the digital world. The best way to always keep on top of the latest developments is to be a subscriber yourself. Subscribe to all the relevant scientific journals, statistic data sites and of course relevant news channels. And when you share a certain information be sure to include your expert opinion on the given data or research. Your content will always be more compelling and attractive to your readers if you have a deep and clear interest in the subject matter. 3. Don’t forget the customers! This might sound as an unnecessary step, since most of the things we do we do in order to sell product, but in fact this is the one that in time people often omit. There needs to be a balance when it comes to content sharing on your site. Part of the content needs to be directed towards attracting the interest of the leading experts and professionals from your industry and the other part should inform your customers on the latest product and developments that are happening in your company. As people build their business social media profile, and become more relevant in the online communities, they tend to overlook the primary goal of any business, which is to sell product. By following the reactions on social media you will be able to see how people perceive your product and get the best, most untainted feedback on all aspects relevant for your company. 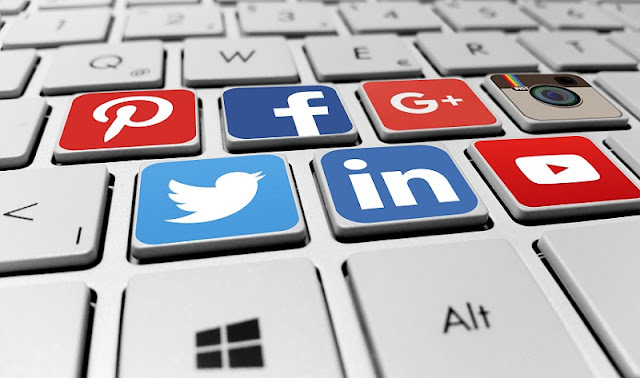 Social media allows businesses to develop strong relationships with their chosen market without big budgets and sophisticated systems and it does the same for business professionals. By dedicating a portion of your time to build an online reputation and following you will be able to expand your business and customer network.